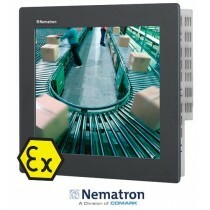 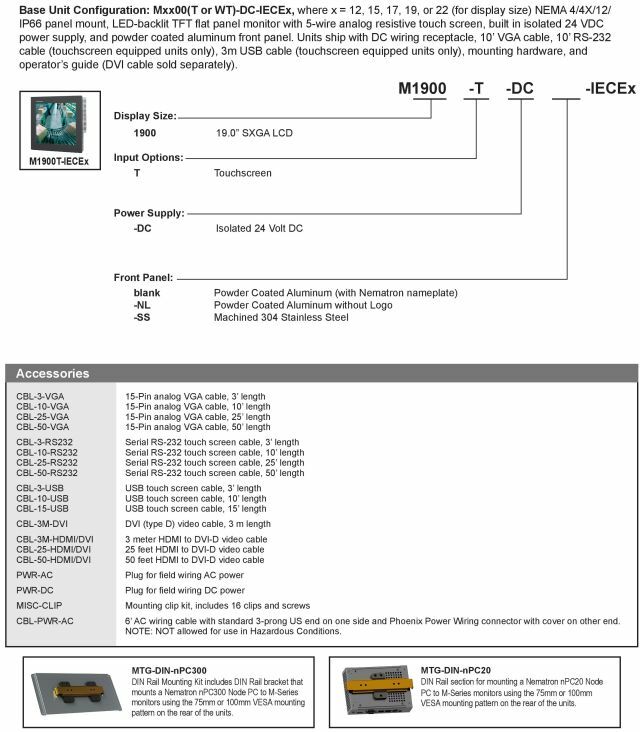 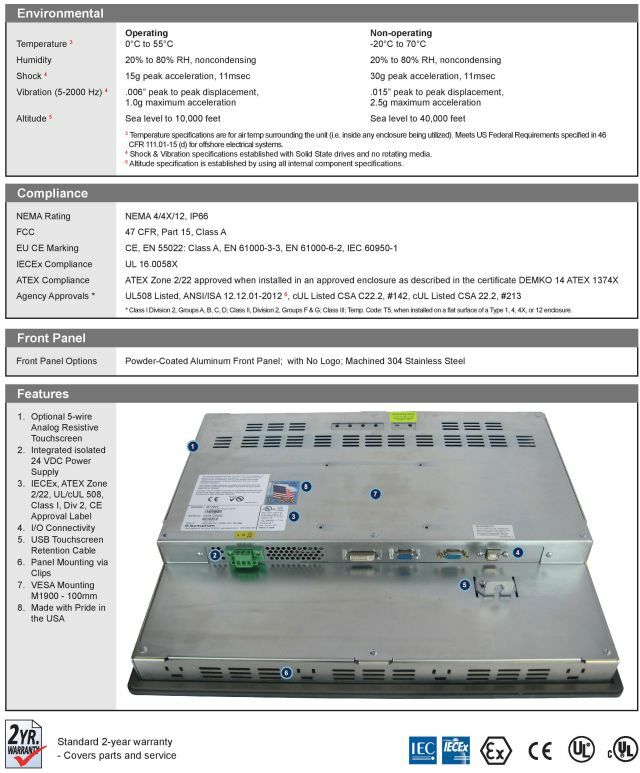 M1900 Series IECEx and ATEX 2/22 Approved 19.0" Industrial Monitor. 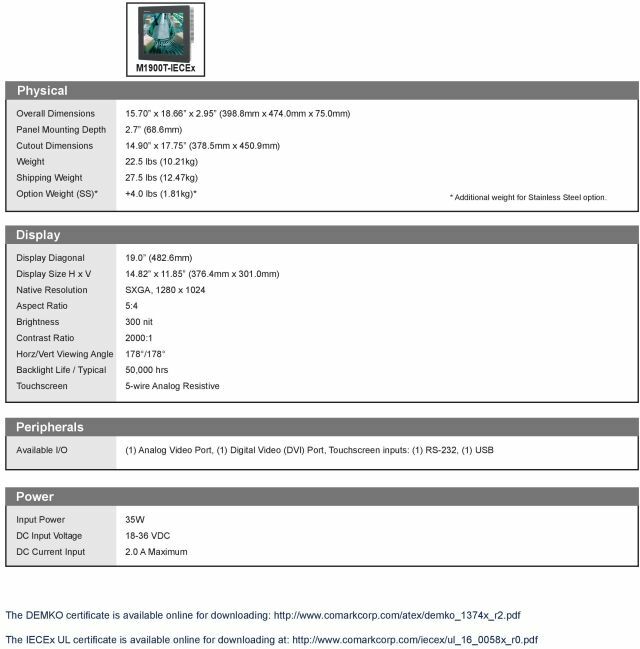 Also available in the screensizes 12.1", 15.0", 17.0" and in the widescreen sizes 21.5" and 22.0". Offering unparalleled value and superb quality, the Nematron M-Series by Comark are high performance color TFT flat panel monitors specifically designed for harsh industrial environments including Class I & II, Division 2 Hazardous Locations when mounted in a NEMA enclosure. 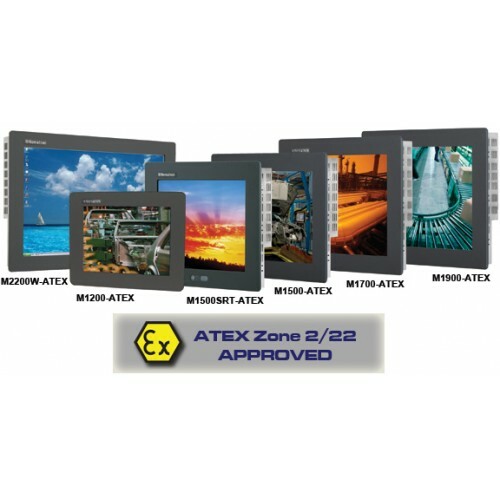 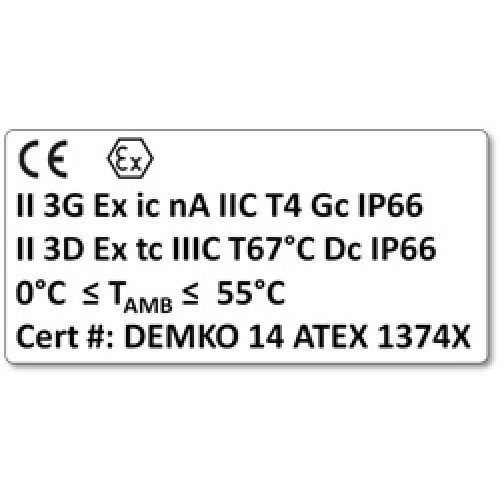 M-Series Displays now carry IECEx and ATEX Zone 2/22 certificates of approval.